Uncategorized – David Newberry, music. Hello, poet friends. It’s been a wonderful three months here in Toronto, and as it winds down, I wanted to formalize my time here. So I hooked up with the fine folks at Southern Souls to make a couple of videos in a charming Toronto basement apartment. Here is myself, as well as my dear friends Rachael Cardiello and JP Maurice playing a brand new song of mine, and one of JP’s. I have one show left in Ontario, in Toronto, on April 1st in the back room of the Cameron House at 9pm. DAVID NEWBERRY – Coyote from Southern Souls on Vimeo. DAVID NEWBERRY – Pennies from Southern Souls on Vimeo. Happy New Year, beautiful Poets. It is so wonderful to see you in the light of this brand new day. For all of our most recent news, check out the January newsletter, which is located here (and sign up for future letters here). After a year in the swamp, my new EP “Desire Lines” is finally done. We “officially” released it in Toronto on February 1st, and will be having celebration shows throughout Ontario and Quebec in winter, and Western Canada in spring. You can download the album by visiting my bandcamp page. Find out about shows by visiting the shows section. And here is a video of a song from the new EP, shot very recently in Vancouver’s Stanley Park. I will write more soon, my dear Poets, but for now, I’ve got to go hustle up a future. You can stream and purchase our records on Bandcamp or on iTunes. WHAT ARE PEOPLE SAYING ABOUT DAVID NEWBERRY? It is so wonderful to see you in the light of this brand new day. A lot is happening. A LOT IS HAPPENING. I fall deeper for you daily. Greetings, poets. It’s frozen! There is ice on the ponds. People are skating. Outside. In Vancouver. Skating! I’m just off to the mailbox to drop the masters for ‘Desire Lines’ into the mail for the printers. In the mean time, here’s another sneak preview in the form of a video of one of the songs from that EP called Shiny Pretty, which was filmed in my livingroom by my pal Rod at EveryDayMusic. Soon enough I will be off to Ontario to spend some time in the woodshed, and play a few shows in the Centre of The World. There’s really a lot coming up. Check out the Shows section. I miss you terribly, poets, and I promise to try and call more often. Here’s some exciting news for you. Keep your eyes here for updates. It has been a remarkable summer. 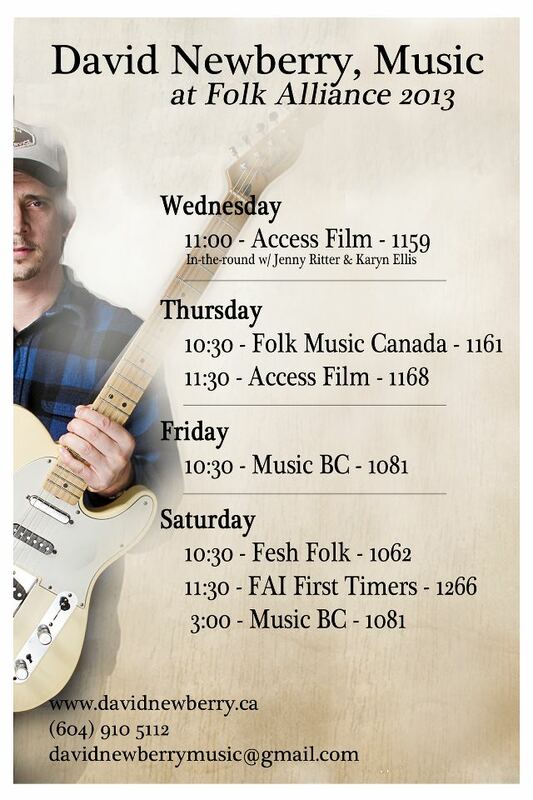 I’ve been all over BC playing with some of the finest musicians I know, sharing stages with many of my favourite bands, at some of the greatest little festivals in The West. From the charming Tiny Lights in tiny Ymir, to the back-alley Elevate The Arts on Vancouver Island, to my ninth annual ArtsWells festival, it has been a summer to remember. Just one more to go until I hibernate for a while, and that is Victoria BC’s epic Rifflandia Festival. It takes place September 12th to 15th, and puts me on a poster beside folks like Courtney Love, Death From Above 1979, Stars, Cold Specks, along with a batch of dear friends like Willhorse, Reid Jameison, Dave Lang, and literally hundreds more. We’re playing Friday at 8:30 at The Wood Hall. See you there! 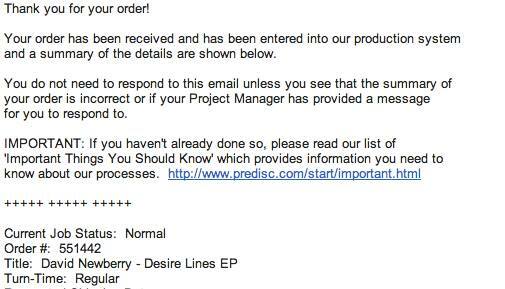 Other than that, I’ve just put finishing touches on a EP that will be called Desire Lines, and hope to have it to you soon. The invisible magic on projects like this always takes a bit longer than you might think, but you’ll be the first to know when it’s ready to see the light. You can hear me play the title track in a Vancouver park here. And while we’re talking about Vancouver parks, me and some friends played a roosty new version of a song from my previous record No One Will Remember You in Stanley Park not too long ago, and here’s the video. The song is English Bay, and we played it, well, in English Bay (see what I did there?). Thanks to Daniel at DR Media for enabling this, and to my long-time (and hopefully life-long) collaborators Jenny and Elise for helping me out with this. Until next time, poets. Stay dry. I’ll miss you. You can stream and purchase my records on Bandcamp or on iTunes. The uptight critics who really run the show are digging it, and so should you. Alan Cross (yeah) says that Newberry has “equal parts ‘The River’ era Springsteen and Neil Young folk rock elements in his music,” and say’s we’ve made a “Soulful, really impressive sophomore album.” That’s pretty cool, right? When spring rolled around yet again, and I was just about to get a year older (yet again), I thought to myself: Get with it, Newberry. All the kids have video content on the YouTube. Be relevant. Feel small, but be relevant. And so I tried to solve it. I’ve been working with a handful of directors and videographers to get content out into the world for a few months now, and the finished products have started to trickle in. So, poets, here is some real live content. First up, a brand new song. The title track from my forthcoming EP “Desire Lines.” Have a peak. Here is a video that my beautiful friend Meghan Morrison (of Online Indie Jams) shot at Folk Alliance International back in March, when I was playing with my fiddle army. There’s lots more coming, so keep your eyes pointed here, over on my Facebook fan page, or at my twitter account. Or you can sign up for the email list below. Feel free to comment or share the video if you like it. And here’s a fun fact: Someone kindly covered one of my songs into the camera of their iPod and posted it on the internet. I’m not 100% sure, but I believe this to be a first. Good day, poets. I wish you all of the luck in love. Life is magic, isn’t it. I have so many things to be excited for these days, and I will tell you all about as soon and as often as I can. In the mean time, there’s two things to know that are of the urgent variety, relating, in their shortest-form: to policy and to shows. Any person who is standing for or currently holding public office can attend any David Newberry show for free, provided they are willing to be publicly identified and make themselves available for conversation. Forever and for always. If you’re one of these people, here’s the deal: 1) You don’t get to touch my microphone, and 2) You have to email me the day before the show at davidnewberrymusic@gmail.com, and I will either put you on the guestlist, or buy you a ticket. I can’t wait to see you there. Yes, sirs and ma’ams, In the coming days, From April 14th to 21st, I’ll be Vancouver, Penticton, Nelson, Kimberly, Invermere, and Golden, BC. And that’s not all. 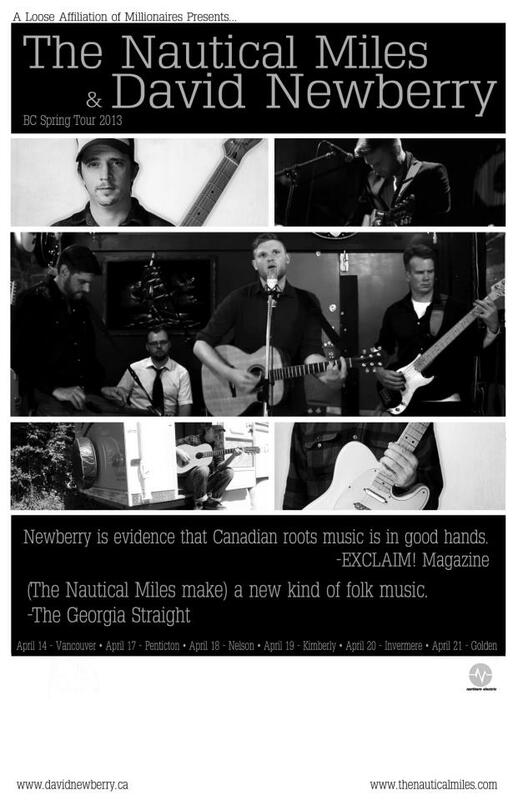 I’ll be visiting these towns with my favourite band in Vancouver, The Nautical Miles. And that’s not all. The hands-down-incredible musicians behind ‘The Nauts’ will also be behind me. Boy oh boy. Little old me. Being backed up by The Nautical Miles. I don’t really know what a bucket list is, but I’m pretty sure mine just got shorter. Find out all about it in the shows section, and sign up to my email list, which you can do below. Thank you, poets, for being such good enablers. I am out on the road more and more every week. Find all the info in the shows section. In the mean time, poets, sign up for the Newberry newsletter to remain tastefully informed about all things Newberry. Let’s come home together. It’s been a quiet few months. I’ve moved. A few streets over. A few less carpets. A few new songs. Change is in the wind. Everything is new. I can see it in your eyes. Mountains of local shows have taken place with new comrades like Declan O’Donovan, Daniel Moir, Hannah Epperson, and the lovely and talented folks inRococode. There’s a couple of other exiting moments coming up too. Keep yourself posted in the shows section or by signing up for my newsletter below. Of special note would be a night at the Pacific Theatre with my dear talented friend David Simard and Montreal-based Brie Neilson on November 27th. I’m very lucky and very excited to be sharing an evening with two of my favourite singers. I’ll be performing that night backed by the super-talented Adam Iredale-Gray (who produced my most recent record, and who plays fiddle with Fish and Bird). It will mark the launch of a mini-tour Adam and I are engaging in, which involves (mostly) house concerts. We’ll be riding boats to Gabriola Island, Hornby Island, Denman Island, a house near Duncan, and possibly Victoria (details TBA on that one). Details (you guessed it), are in the shows section. Not much else to report. It’s festival application season, which means if you would like me to come to your town, I would be ever so grateful if you’d write your local festival and let them know you’d like to see us on the bill. Their contact info is always on their lovely website. Here’s a snippit from my recent opening slot at Jenny Ritter’s CD Release party in Victoria. If you click through to YouTube, you’ll note that Midnight Oil’s “Beds Are Burning” is the video YouTube suggests you watch after you finish mine. Go figure. Good night, poets. Get some sleep. I am out on the road as often as I can be right now promoting this album. Find all the info in the shows section. In the mean time, sign up to the email list below and I will keep you tastefully informed of my thoughts and concerts. Come home to me. What an adventure it has been, Poets. Festivals, friends, music, weddings, and more sunrises than an old man like myself should watch. A beautiful summer. Never let it end. The busiest days of summer are behind us, but there’s always more coming up and you can find that in the shows section. If you want to see what we’ve been up to, there’s some archived pages down below. Most significantly, I think, I’ll be opening for the incomparable Jenny Ritter for a few of her album release dates. Again, look over in the shows section. I miss you already, and I’m scheming as hard as I can to get to see you as soon as possible. It’s a Vancouver heatwave! It’s glorious. Not like those dirty Toronto heatwaves. Bring it! Bring more! Nothing on the band horizon, but I’ve got new songs and I’ll be playing them solo at a few spots in Vancouver and Penticton. Check the shows section and sign up to the newsletter (below) to stay up to date. The magical ArtsWells festival is so very soon. I’m heading up a week early to take a songwriting and performance class with the remarkable BidiniBand, led by fearless former Rheostatic Dave Bidini. What luck. Some of my closest friends, label-mates, and co-conspirators will be with me there, and I’m grateful for that. We’ve been woodshedding up a storm since May, incorporating new band members, rearranging everything from scratch. Arguing about it until its just right. We have a few Vancouver shows and a few out of town festivals coming up to show you what we’ve been up to. Find out all about it in the shows section. Here’s one thing we have coming up with Caleb Stull (formerly Parlour Steps) and current Peak Performance Project participants The River and The Road. Great. Young. Band. In the mean time, sign up to the email list below and I will keep you tastefully informed of my thoughts and concerts. This is the next thing that’s happening: Edmonton-based (well, sort of… more like MiniVan-Based) baladeer Scott Cook will be joining the band and myself for our Vancouver Island mini-tour (three shows right off the top of June – Victoria – Duncan – Courtenay) in support of the new record. Find out all about it in the shows section or on facebook. Tweet your friends. Scott’s music moves mountains. Trust me. Okay, so, get this: CBC is throwing a big rock and roll party on a train. All aboard, bands, meals, champagne, drive from one damn side of this visually stunning country to the other. And get second this: They’re having a vote to decide who are the last three bands to join the line up. And get third this: My country-rock-and-roll-side-project-super-group LMNOP (which stands for Lamb, Murdoch, Newberry, and the Other People) has made the long list. You know me. I love trains. I. Love. Trains. I implore you. I beg you. I massage your feet and make you dinner. Head over to this here webpage and put your check mark next to LMNOP and two other groups, and click submit. Please oh please oh please. We’re the most Western Canadian thing you’ve met since proper ramen. That’s really the big news right now. So as you can see, it’s an exciting time for all of us here at David Newberry, music, and I am delighted that you have joined us for it. If you’re stopping by for the first time, you should know we (David Newberry & Friends) have just released a record. It’s called No One Will Remember You. The reviews are beginning to wander indoors from the cold for this record. It’s an exciting time for all of us here at David Newberry, music, and I am delighted that you have joined us for it. If you’re stopping by for the first time, you should know we’ve got a record coming out. It’s called No One Will Remember You. The reviews are beginning to wander indoors from the cold for this record. This record was made in its entirety over 10 days on Mayne Island, BC. with Adam Iredale of Fish and Bird producing, and featuring performers from Deep Dark Woods, The Gruff, O’Mally, DRMHLLR, and lots of others. Here is a preview video, made by Rob Alder, of our live recording. And another video shot from the cellphone of a passerby. Stick around through all the chatting, as we’re quite proud of what happens when the song kicks in. If you would like to skip the part where you actually have to visit the website, sign up to the email list below and I will keep you tastefully informed. Copyright © 2019 David Newberry, music..